Feelfree Kayaks offer some of the most user friendly modern Sit On Top Kayaks with a huge range of models including recreational kayaks for family fun through to dedicated fishing kayaks for kayak angling enthusiasts. A classic design at an unbelievable price! The Roamer 1 is one of the best value for money sit on tops available in the UK and Ireland. Suitable for coastal and inland paddling. A firm favourite in the UK market thanks to the modern design and user friendly features including the wheel in the keel and solid moulded carrying handles. A true do-it-all sit on top kayak. Lightweight sit on top kayak designed for smaller adults and junior paddlers. The Feelfree Move is a versatile sit on top in a more compact sizing. Hugely popular family sit on top kayak with 2 main seating positions and an additional centre seat for carrying a passenger or for solo paddling. The ultimate compact, lightweight fishing kayak. 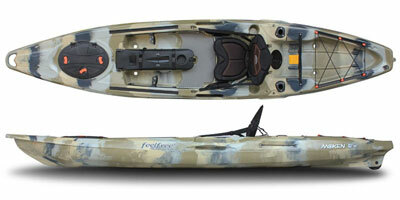 A well spec'd fishing kayak featuring Feelfree's Wheel-In-The-Keel and the innovative quick release modular track system. Those looking for a smaller length fishing kayak with extreme stability will rarely stray from the Moken 10 Angler. 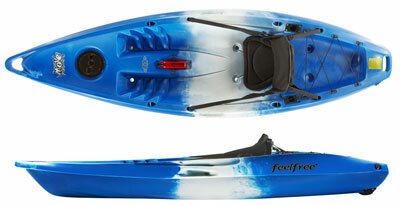 A great choice for the larger paddler with stability and comfort in mind. 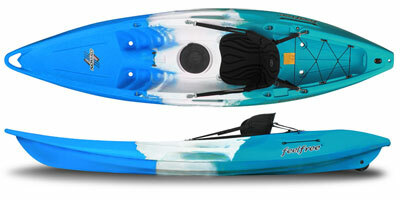 A great introductory fishing kayak that is ideal for trips out on rivers, lakes and gentle coastal conditions. A feature packed sit on top that is a great choice for fishing and touring. Updated for 2017, the new Moken 12 angler features an updated Wheel-In-The-Keel design. 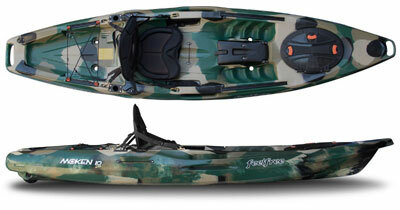 A firm favourite with those looking for a feature packed fishing kayak. The Moken 12.5 combines stability with excellent tracking and all the fishing features you could want.